Timber Wolf Knife Set with Gift Tin | BUDK.com - Knives & Swords At The Lowest Prices! 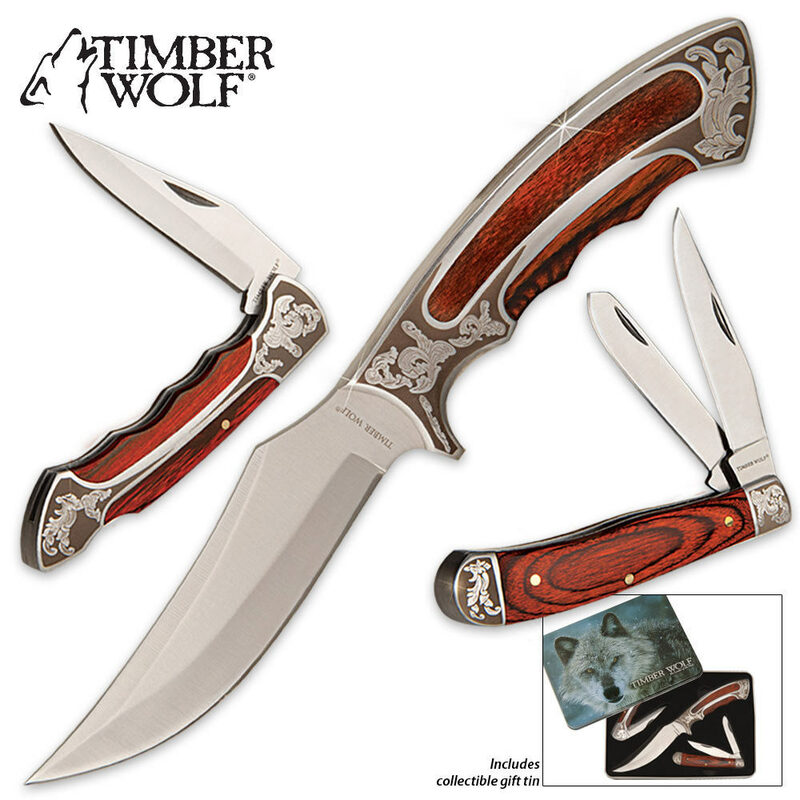 Perfect for you or someone special to you, this exclusive set from Timber Wolf has a custom knife for every occasion! Making for great gift ideas, the set includes a full tang Hunter, a Lockback and a Trapper, all beautifully displayed and housed in a custom Timber Wolf gift tin.